This is an attractive genuine bonded leather edition, with gilt-edged pages and gold ribbon marker that will make an elegant addition to any home library. 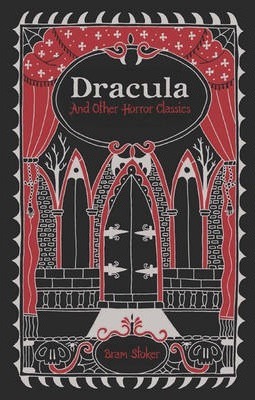 This edition of Dracula and Other Horror Classics is part of Barnes & Noble's series of quality leatherbound volumes. Each title in the series presents a classic work in an attractively designed edition, bound in genuine bonded leather. These books make elegant additions to any home library.